This past summer, a new UFC Fight Pass series “Dana White’s Tuesday Night Contender Series” had the MMA world buzzing. For eight weeks it featured five fights every Tuesday of July and August. The show featured 40 fights, 80 fighters, and to date 12 future UFC veterans. Looking towards next season, here are 25 fighters who deserve to be in the sophomore season of the series. Giannetti is a Cage Titans veteran a regional promotion is Plymouth, Massachusetts which airs live on FloCombat. Joe is a very dynamic fighter on both the mat and on the feet. He is dangerous everywhere, but on the mat he excels having picked up five submissions. Giannetti is a fun young fighter that needs a step up in competition and this is a good series to do it on. Jon Neal is the type of fighter the UFC looks for. He has a good amount of experience with a 100% finish rate, bringing it all and always looking for the finish. Neal is a two-division regional champion in Lightweight and Featherweight. Santella is one of the most deserving fighters on the list. Not only does Santella have the talent but he also had a rough time when he almost debuted for the UFC last year. Santella was signed to the UFC back in July last year to take a fight on short-notice against Wilson Reis. Unfortunately, the fight fell through because Santella failed a medical test and his UFC contract was unfortunately cancelled. Santella won a fight following his failed UFC appearance before fighting rising prospect, Joseph Morales, where he went on to lose a close fight that resulted in Morales getting the call up to the UFC. Now Santella is on a two-fight win streak and very deserving of a second chance. Bandejas recently won the CFFC Bantamweight title just last month. Bandejas has beat good competition in his short career beating fighters with a combined record of 29-10, including a win over UFC newcomer, Merab Dvalishvili. You could really argue that Ricky shouldn’t have to go through this show as he honestly deserves a UFC contract right now. Manny is another undefeated Cage Titans fighter fighting out of Southshore Sportsfighting. Manny has fought for two well known promotions in Cage Titans, that is availabke on FloCombat, and CES that airs on AXS.TV, making his fights easier to find than most other regional fighters. Manny has fought a bunch of good, experienced fighters and is now ready for the big lights. Hernandez is a rising star in a Middleweight division which is craving for young talent. As you may be able to tell considering the 100% finish rate, Hernandez is a very exciting fighter everywhere the fight takes place. With rising camp, MMA Gold Fight Team, getting more well known you can always see shout-outs for him from UFC fighter, Aspen Ladd. Teed had a hiccup on his record when he lost to current UFC fighter Azunna Anyanwu, though he did get back on the track with a win just last month by TKO. Teed has taken all his professional fights with top regional promotion CFFC. UFC needs Heavyweights bad and Teed is a good, young talent that I’m sure will eventually be in the UFC with or without this series. Willis has fought pretty good competition lately and has already fought on the big stage for both WSOF and Bellator. Willis is an athletic beast that is destined to be in the UFC and in my opinion he has all the potential to succeed. Hughes only has one loss to former TUF contestant, Dan Spohn, who competed last season in the series and won his fight. Since his loss, he got back on the track with a win last June, taking a unanimous decision victory. Hughes has good cardio for a big man and is very athletic holding an impressive highlight reel wheel kick knockout. Mowry is only 2-0 but last season the Contender Series had a 2-0 fighter named Kennedy Nzechukwu. In my opinion Mowry is much more talented, especially taking into consideration his seven amateur fights. The 6’9″ giant has a lot of promise in the Heavyweight division being from a top notch camp and very intelligent in knowing how to use his length to his his advantage. Brenon is a NCAA Division III All-American with a black belt in Judo along with training jiu-jitsu since childhood. While Brenon’s striking is still developing, considering all of his accomplishments when it comes to wrestling/grappling you’d be hard pushed not to assume his striking will keep improving. I have no doubt in the next year everyone will know who Derek Brenon is. Mitchell is a regional champion but still stuck under contract with WSOF. The contract ends sometime in January, making it perfect timing for the series. Mitchell could be an instant fan favorite with his amazing BJJ and electric personality. In my opinion, I think the UFC should sign this guy as soon as his WSOF contract ends, but all that matters really is that he gets the spotlight soon. 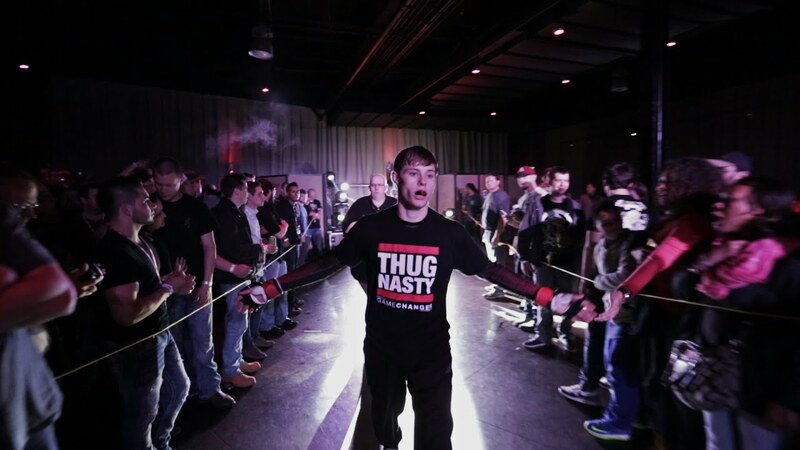 Jared is the younger brother of UFC Flyweight star, Justin Scoggins, and as much as they look much, they fight much alike as well. Jared’s only loss is to Jesse Bazzi but since that loss he’s won his next two fights. He has a fight coming up in November. With that win look for a call up this series or maybe even a UFC call up. Raufeon is the only fighter on my list coming off a loss, but personally, he is one of the best prospects out there. Dana White attended an event that was heavily focused on Stots but he would be stunned by a spinning backfist in 15 seconds by Merab Dvalishvili, who would end up getting a contract instead. Stots is so good though and I believe he will come back much stronger. Avila took her first pro fight in 2012, beating ranked UFC fighter Marion Reneau. Following that she didn’t return until 2016 and has been active ever since. In a weak division in the UFC, you could see Avila signed to the UFC at any time but if not she would be perfect for this show. Diamond is a star out of top lighter weight camp, Team Alpha Male. Diamond is someone I know is on the UFC radar. Diamond is fighting for the Global Knockout promotion’s Featherweight title November 4th, and with a win there I believe he should go straight to the UFC, but he could very well headline an episode of the series. Sweeney is only 3-0 but is very skilled in his young career. Sweeney has fought for LFA twice and has really showcased his skills but also his outspoken attitude which will draw both fans and the UFC in. Yusuff is undefeated as a pro (5-0) and also in his amateur career going 7-0. Yusuff is one of the best unknown prospects out there in my opinion, as he has already proved himself over some very stiff competition. Yusuff has fought for Victory FC three times and recently won at CFFC picking up a 30 second knockout. Similar to Sodiq Yusuff, Brady is undefeated as a pro (6-0) and also undefeated as an amateur going 5-0. Brady has fought all of his pro fights with top regional promotion CFFC. Brady was able to capture the CFFC title last May and will defend his title October 21st against another tough opponent in 7-1 Dwight Grant. Gallemore was actually offered a fight last season but the offer was too late notice for Gallemore and he regrettably had to turn it down. Gallemore is the current Victory FC champion and has defended his title twice. With Heavyweights they are always in a good spot and they can often get the UFC call up at any time, so with a win in front of Dana White on the Contender Series show they will most likely be signed. Sayles had a hiccup on his record but he got back on track in March in a main event in front of Dana White. Dana White and Sean Shelby are already in conversation with Sayles. The Contender Series is a perfect step up for Sayles. Last year nobody knew who Mazo was but this year she has made a huge name for herself under the LFA banner. Mazo has two highlight reel head kick knockout in her last two fights. They might not be against the best opponents but for being only 20, Sabina Mazo is going places, fast. Wagy trains out of a top camp and at only 25 he has a lot of experience with 14 fights. Wagy, after going 3-4 to start his career, really got on a hot streak winning his next seven fights in a row. He’s most definitely deserving of a spot on the Contender Series. Allen is so young but has already been in so many great and memorable fights. His only two losses are to Eryk Anders and Trevin Giles, who are both now UFC fighters and both were amazing fights. Allen is coming off of a win last June and is now on the verge of another LFA title shot. Pena is actually unknown to many MMA fans, but if you have a FloCombat subscription you can watch Pena and see he is no joke. I believe Pena is a future star and even though he’s only 4-0 and 24 years old and I’m that comfortable in saying that. These are the 25 fighters I think personally deserve a fight on Dana White’s Contender Series. I really like all these fighters and I think the majority of them could actually take their next fight in the UFC and do well. I was able to ask each fighter “How they described there fighting style?” and “Who is their favorite fighter?” Thanks to all the fighters for getting back to me and hopefully everyone enjoys.